About 49 Moons would fit inside the Earth. 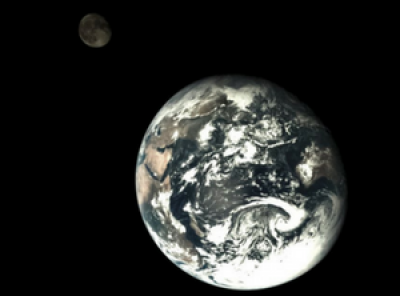 the Earth being so dense it would take 81.5 Moons to equal the same mass! So I guess there wasn’t as much cheese as Wallace and Gromit would have hoped for. 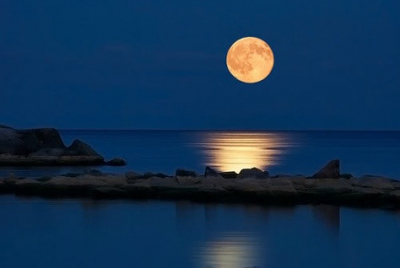 The full Moon triggers fertilization of the Great Barrier Reef. Australia’s great barrier is the largest coral reef system in the world and you would be surprised about how large a part the big old rock in the sky plays in its survival. Once a year an event known as ‘mass coral spawning’ takes place where the coral release all its sperm and eggs at the same time. This spectacular annual event is always triggered by the full Moon. A part of the corals DNA is able to detect Moonlight which allows its 2.3 km strip of reef to synchronize its fertilisation. Romantic much? Hamsters turn their wheels 'more aggressively ' during the full Moon. Yes you read that correctly, hamsters love a full Moon! 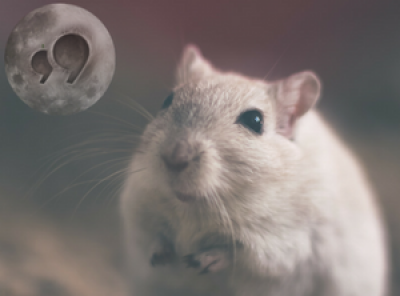 A four year study conducted by an animal behaviour expert found that hamsters were much more active on their wheels during and four days after a full Moon cycle. So if you have a sporty hamster, hook up your phone charger to its wheel this Monday and harness the power of the super Moon! Golf was the first sport to be ever played on the Moon. On February 15, 1971, Alan Shepard landed on the Moon, but he didn’t forget to bring his 6 iron. He hit two balls on the Moon and became the first person to play a sport away from Earth. The ball he had a crack at flew 800m! So he also smashed the Guinness world record of longest golf drive as well (but he got pulled up on some technicalities). This week’s super-Moon will appear 14% bigger and 30% brighter. We hope you’re ready for a big one! This week’s full Moon is just on the horizon (pun intended), so be ready with your cameras this Monday the 14th because the Moon hasn’t looked this good for almost 70 years! If you haven’t heard, were giving away $1000 USD to the best snaps of the super Moon. Head to our Facebook page to learn more about how you can pocket some cold, Moonrock hard cash.